There are a couple of ways to begin your weight loss journey. You can attend a bariatric seminar – either in-person or online – and if you are not yet ready for a seminar, you can proceed without registering for either. Our In-Person Bariatric Seminars are held several times a month in various locations. At the Seminar, you will listen to one of our surgeons as they describe morbid obesity and the surgical options used to treat this disease. There will be time at the end for questions and answers. 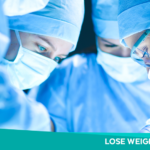 The Seminar is designed to provide you with all the information needed to make an informed decision about weight loss surgery, and usually lasts between one to two hours. You are encouraged to bring a support person with you to this Seminar. Education is a large part of a successful bariatric procedure. 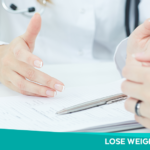 With so many options to consider, a thorough understanding of the bariatric procedure is critical to finding an opportunity that’s best for you. At DHR Health Bariatric and Metabolic Institute, we’re dedicated to helping you make the right decisions for your health. 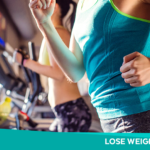 With our in-person weight loss seminars, you can explore exactly what our facility has to offer. Ask questions, get answers, and meet our team! If you don't have an SSN please enter 0. Enter your height and weight to find out your BMI Score and enter it in the form above. To learn more about our online and in-person bariatric seminar options, please call us at 956-362-5673. DHR Health © 2019. All Rights Reserved.